Variable Refrigerant Flow (VRF) HVAC systems are reaching new heights of popularity. VRF systems have already long been popular in Europe and Asia. However, in the U.S. market ducts are built into most properties, so VRF isn't necessary. VRF's are beginning to gain traction in the U.S. because of the control. VRF systems are easily able to be used in zones. They are also much more energy efficient. They save about 30% on HVAC energy costs. 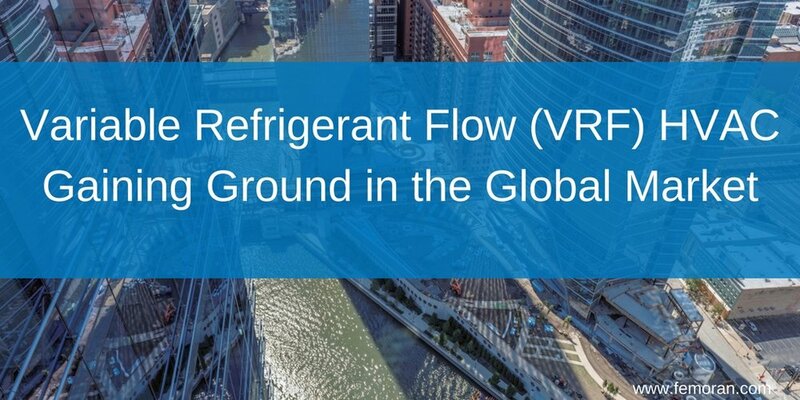 Learn more about VRF systems in our article Why Variable Refrigerant Flow (VRF) HVAC Systems Are the Hot Topic of High-rise Buildings.